1. 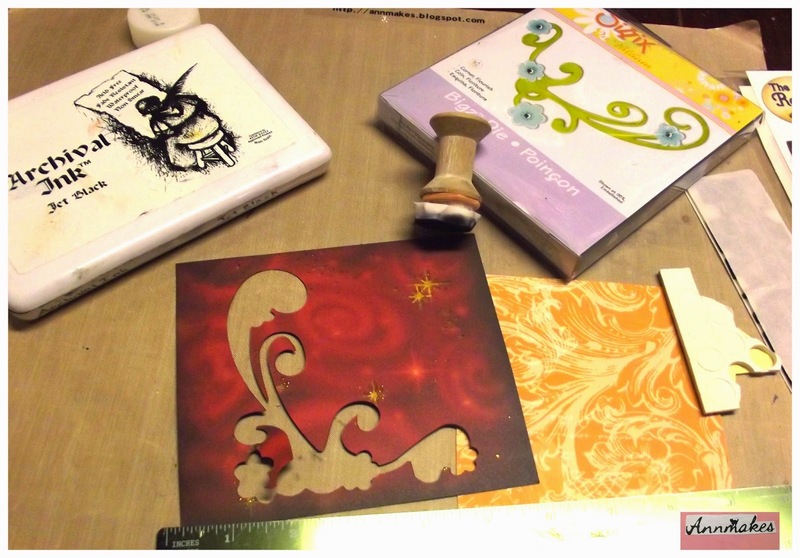 Make a square card about 6" x 6" from black card stock. 2. Cover front of card with lighter coloured paper about 6" x 5.5"
4. Adhere the red panel over the gold color panel using dimensional foam squares or strips. 5. Glue diamond shaped and round shaped Dew Drops. Apply sentiment to bottom of card on black portion. 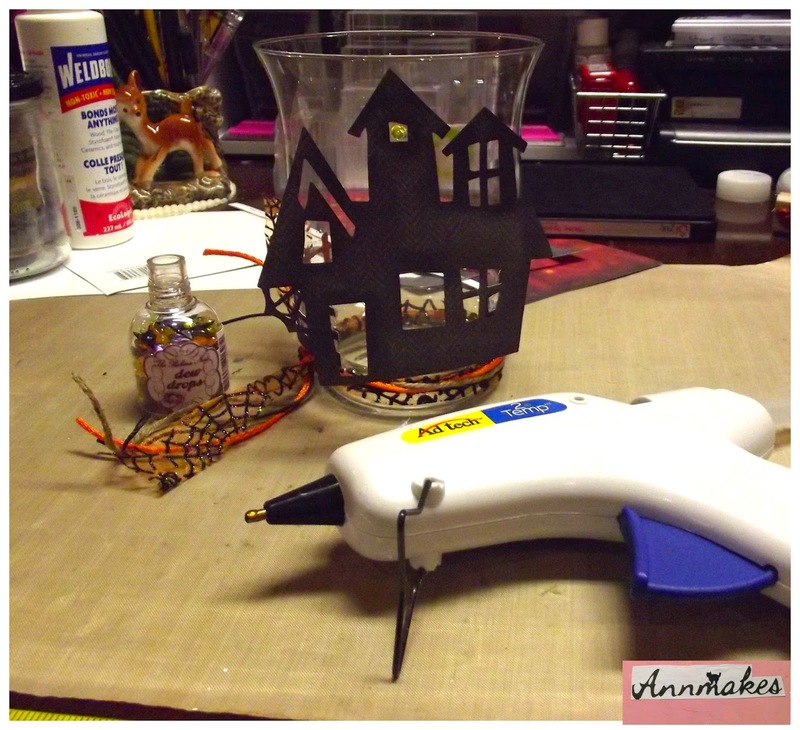 The second project I have for you today is something I made for Halloween. I thought that it could inspire you to make something similar for another Holiday as well. 1. 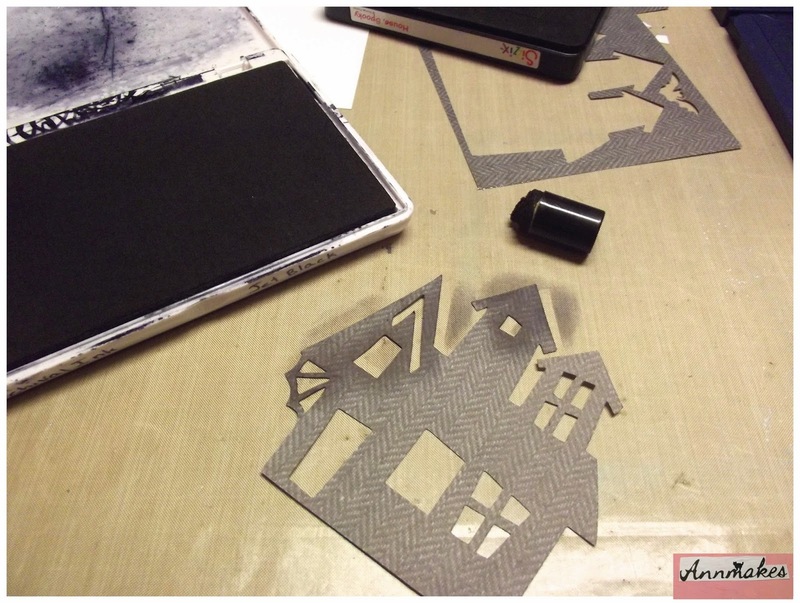 Using Sizzix die and Herringbone paper from RN cut out a Haunted House and a bat. 2. 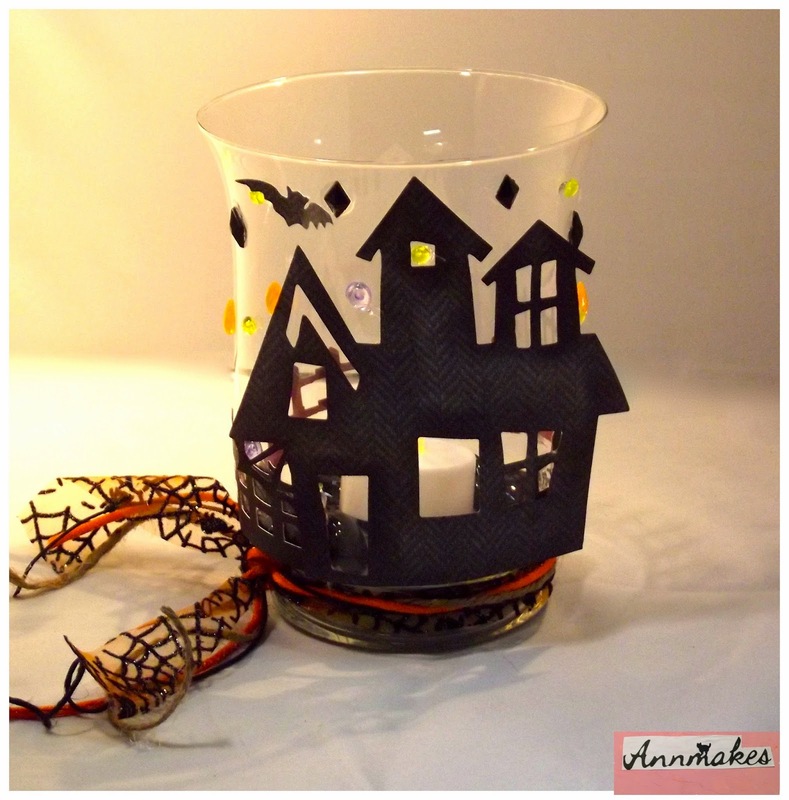 Ink the edges and windows of the house to give it a more haunted look. 3. 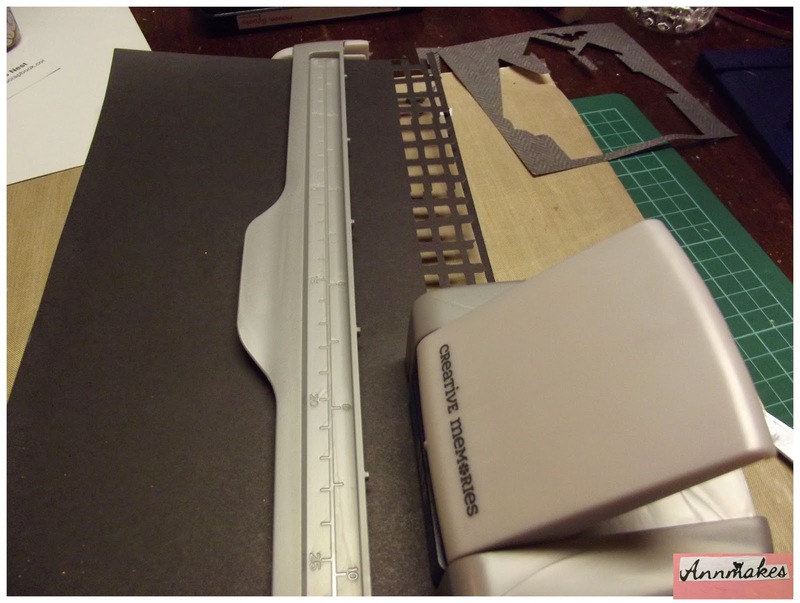 With the border maker cut out a fence from black card stock. 5. Apply Dew Drops with some glue that will stick to glass. glass stones and a battery operated tea light. By the way the beautiful papers and Dew Drops are available from The Robins'Nest.